Locate the deceased’s will. Find out who witnessed it and contact the witnesses. 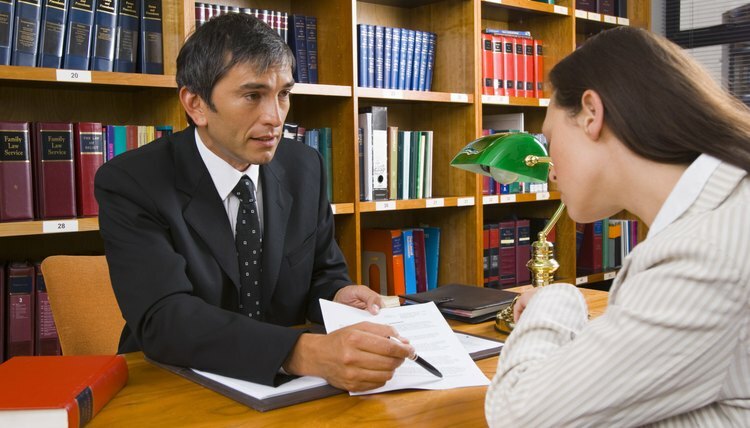 Take the will to a licensed Mississippi estate attorney. You do not have to pay the attorney personally for his services -- his fees will come out of the estate. At least one of the witnesses must appear with you at your first appointment with the attorney to sign a sworn statement that she was present when the testator, the person who made the will, signed it. Sign the documents provided by the estate’s attorney so the will can be submitted for probate. The attorney will appear before the chancellor for an order appointing you as executor. Attend the hearing and take an oath of office; you will be given documents called “letters testamentary” authorizing you to perform the duties of the office. If the will does not waive a requirement to post a bond, obtain one at this point. A bond is a sort of insurance policy against any wrongdoing while you are in office. Make a list of all the deceased’s creditors and give it to the estate’s attorney. The attorney will help you notify them that they have 90 days to file a claim against the estate for payment. A notice to those creditors that you don’t know about must also be published in the local newspaper once a week for three consecutive weeks. The attorney will advise the chancery court when this has been done, and the court will tell him if any creditors filed claims. Meet with the attorney to decide if any of those claims should not be paid, and notify the court accordingly. The claims that you have declared legitimate must be satisfied through the estate. Close the estate. The attorney will prepare a petition for the chancellor to ask him to relieve you of your duties. The attorney will ask the deceased’s beneficiaries to sign the petition as well in order to expedite the process. Accept your order of discharge. Once you receive this, you can go ahead and distribute the estate’s remaining assets to the will’s beneficiaries. The estate’s attorney will then file a last document, called a “statement of compliance,” with the chancery court and probate will be officially closed. To prepare for a bankruptcy filing, you must provide your attorney with complete and accurate information about your financial affairs, including your income and the debts you owe. A bankruptcy filing will protect you from debt collectors until you liquidate your assets or reorganize your debts. When you file a Chapter 7 bankruptcy, your eligible assets are liquidated and your creditors paid. Filing under Chapter 13, will reorganize your financial affairs, so that you can make affordable payments to your creditors. Your bankruptcy lawyer needs all the necessary information that federal law requires before he can file your bankruptcy petition.